Remembering the history of World War II is paramount to ensure that future generations know the trials and tribulations of the Greatest Generation. Not every remembrance of WWII has to be a Ken Burns documentary or Steven Spielberg film. It is important to remember this history but others take it a step further and bring WWII to life with historical reenactments. 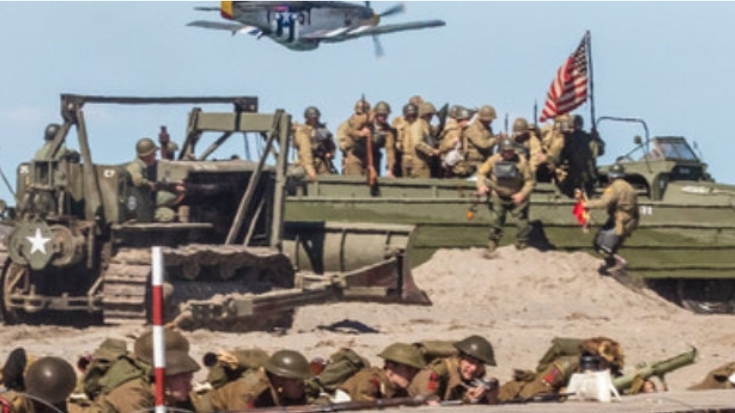 D-Day Conneaut has been one of American’s most celebrated WWII reenactments attracting over 25,000 visitors each year. From its humble beginnings nearly 20 years ago, this event has grown into the largest WWII reenactment in the country. A beautiful assortment of tanks, aircraft, and soldiers act out the events of the day that changed the world. D-Day Conneaut has been praised for its attention to detail and amazing veteran outreach program which has brought onboard numerous WWII vets over the years. This truly is an amazing celebration of World War II history, here are a few highlights from this weekend’s show.